eCinemaOne, The Kirkham Report, and Planet BibiloMusica begin their daily coverage of Eurovision Song Contest 2018 with a preview of most of the 43 songs that will be a part of this year’s contest! Over the next five weeks, we will bring you daily previews of the contest, spotlighting each of the songs individually, where they come from, who will be performing them, and more, as well as some historical info on the contest and some of the past winners and participants. 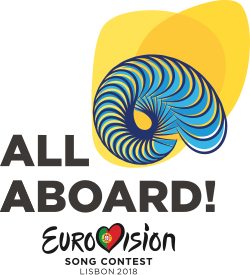 Check out the two official videos from EuroVision below: each one highlights which songs and countries will be included in which semi-final vying for a spot in the Grand Final on May 12. Join eCinemaOne, The Kirkham Report, and Planet BiblioMusica each day through the finals on May 12 – be sure to check each site, because some of the features will be exclusive to just one of the sites! Remember all those music collections where the announcer would say “So you Don’t forget, mail before midnight tomorrow!” at the end? Well a lot of these fall into that category! Once again from the marvelous archives from FredFlix over at YouTube – his collection is awesome and mindblowing, and this is no exception! Get ready America….the 2018 EuroVision Song Contest is almost here! And eCinemaOne is teaming up with our relaunching music site, The Kirkham Report, and our flashback books and music blog, Planet BilblioMusica, to give you a month PLUS of coverage! · An overview of the EuroVision Song Contest, how it works, how it’s judged and more. And finally we’ll have a number of Spotify and YouTube playlists for you to peruse, including our favorite EuroVision songs over the years, the songs from the past couple years that we think should have been hits in the US, and more! So please join us and become a fan, help us participate, and have a lot of fun together – we’ll have all kinds of fan-driven stuff too! Join eCinemaOne and The Kirkham Report for full, fun, and complete coverage of the 2018 EuroVision Song Contest! We stumbled across FredFlix on YouTube recently – he’s got a hell of a collection of great nostalgic stuff, and we’re gonna start bringing some of our favorites of his stuff to you here. You can check him out by going to FredFlix on YouTube, and be sure to tell him you found him on Planet BM! First up, a collection of vintage K-Tel Album television commercials from the 70s and 80s. With all the misspelled names and such, you’d think their ad agency people worked for MeTV’s website…heh heh heh…enjoy! Waaaay back in September 2016, during our annual vacation on Cape Cod, we took a trip out to Orleans to visit what’s touted on their Facebook page as the “largest independent book and music store on Cape Cod”. It was quite a ride on the bus – nearly 2.5 hours from Hyannis because of the constant stops – but we finally made it to BookSmith MusicSmith. Nestled away in the Orleans Marketplace (which looks a lot larger and less a strip mall when looking at their website), this homey little store was one of those delights you have to search out on your travels. All in all, it was a fun trip out there – although it took a while to get out to Orleans, which is about 3/5ths of the way out to the outer edge of the Cape, the trip down was beautiful. The roads are surrounded with trees and fields, with a few houses and businesses dotted along the way. The trip back was also nice, but we had to wait in the hot sun for about 30 minutes to catch the bus home – unfortunately there were no trees in the immediate area. We also found another independent record store across the street from the shopping center, a place called “Instant Karma” but alas we didn’t get a chance to go in and peruse a bit…we’ll have to do that another time. Thanks to BookSmith MusicSmith for agreeing to let us feature you – we loved the store, which is a vital link for music and books in the outer Cape! You can also check out their Facebook here! Hey all! It’s been far too long that we’ve neglected this site. It wasn’t through anyone’s fault, it’s a time thing. We will have at least one new blog a week starting this week, and we will continue our mission to talk about book and record stores, the old days, and more. We’ll also be linking up with my music site, The Kirkham Report, which will be coming back on line this weekend. Once again, we’ll be here spreading the word about places still out there, places gone by, formats no longer used, and the like. And I’ll be back later this weekend with a store from Cape Cod that we visited over a year ago, and just hadn’t managed to post until now. We’ll also be posting some kitsch from You Tube and the like and more! Don’t give up on us! We’ll be going great guns again in the next day or so! IT’S HERE! IT’S HERE! Subject:CINEMA’s brand new spinoff! Welcome to Front Row Five And Ten! This week – sorry we’ve been away for a while again – we’ve both been hella sick, but we’re back with TC’s choice – it’s our Top Ten Screaming 70s Zonkers – songs that when you hear them, you can’t help but think of the 1970s! Check out the Spotify playlist of all the songs on our list this week (24 of them, TC HAD to go more than ten…) right here! WIN A PRIZE – you can win a prize for suggesting list ideas! If you suggest a list idea and we use it, you’ll get credit on the show, your name on the website, and a DVD prize! Write to us at frontrow(at)pnrnetworks.com! DON’T FORGET – THIS IS THE FINAL “FRONT ROW FIVE AND TEN” SHOW UNTIL SEPTEMBER – Our Summer Replacement series “The Reel Recipe” premieres later this week! PNRNetworks has launched a Patreon campaign to ask our listeners and readers to come on board and help us move into the future – we’ve got all kinds of new projects and ideas in store, and we need your generous monthly committment to make it work! Please come over to http://patreon.com/PNRNetworks to check it out, check out the cool perks we have, and join up with us! When you first walk in, there is a huge area with tee shirts, and posters, and the long checkout counter, and a wall of DVDs. The tee shirt selection, as you can see in the shot on the right, is HUGE, and the posters, which are out of the shot, are in a large bin to the left and behind the picture. There’s also used CD’s along the leftmost wall running the length of the room divider. The photo is standing with the door to my right in back of me. Turn to your left from the photo above, and you enter Spinnaker’s main music area. And it’s a GLORIOUS sight. I could (and plan to someday) spend HOURS in this place going through boxes and boxes of 45s that are under the two left most bins – it is a treasure trove filled with literally THOUSANDS of old 45s waiting to be mined for that one streak of gold. As you enter the second room, on your left is a selection of turntables, most of them manufactured with the annual Record Store Day in mind. Almost all of them have a USB port cable, to make it easier to digitize your vinyl collection. And to the right of the door is the CD area, filled with current cds, all stored in longbox-style anti-theft devices to fit the LP racks. And still more teeshirts are hung above as well. In the distance, along the back wall, are several racks holding posters. As I noted above, I could easily spend HOURS, possibly even DAYS perusing the box after box of 45s they have stashed under both sides of the far aisle. I love albums, but I’ve always been partial to 45s and this place…well, it’s like catnip to me. I’ve decided that sometime next spring, when I can save up some money and find a day when I can make the 90 minute bus trip up and back from South Station in Boston and have no other luggage to bring, I’m going to come down and spend the entire day mining this store for some gold. I’ve always loved buying records. My record collection is large (though not as large as some, I’m sure), and about 80 percent of it were purchased at regular prices. But I’d say a good 10-12% of it came from cut-out bins. According to the Wikipedia entry, “In the recording industry, a cut-out refers to a deeply discounted or remaindered copy of an LP, 45 RPM single, cassette tape, Compact Disc, or other item.” Yes, you can still occasionally find cut-outs of CD’s or DVD’s, but most of the time, you’re more likely to find used copies than actual cut-outs. Cut-outs are easy to spot – they have a notch or a hole…um, well, literally cut out of the packaging, whether it’s an album or CD case, or a drill hole through the label part of a 45 or a cassette case. When I was a kid, Ben Franklin in Utica used to sell 99-cent packs of cut-out 45s – they came sealed in a plastic bag, and were on the top hooks of the record rack at the store, with a paper seal proclaiming “SIX 45s for JUST 99 cents!” or something like that – this is when the average price of a current 45 was 69 cents. I bought a lot of these as a kid, when my allowance was a mere $1 a week. And occasionally, if I was exceptionally good in school or doing my chores, or had been sick, my mom or step-dad would get me one too. Now, don’t get me wrong – you rarely (ok, almost NEVER) found actual big hits in these bargain bags, being as they were sealed and you couldn’t check out what you were buying, but I found my share of little gems, and a few little hits too. Racking my mind right now, nearly a half-century later, only one title jumps out at me that I got from these bags, a song called “Off And Running” by The Mindbenders – it was on Fontana Records and was part of the “To Sir With Love” soundtrack; the band had appeared in the film as well. Played that song to death I loved it so much. And it had been the “flip side” of an actual minor hit, “It’s Getting Harder All The Time“. For the record, we’ll have a look at “flip-side” another time. Cut-out bins were also the place for discoveries. For every clunker album or CD I’ve paid a buck or two for in a cut out bin, I usually found five or six that were really really good. This was especially true when CD’s began popping up in the bins, for $2-3 bucks each – I still treasure CD’s I found in the bins in the late 80s-early 90s by Truth Inc., Natasha’s Brother, Latitude, Judson Spence, and of course, New Monkees (about which I will point out two things – 1, I already had the LP of it, and 2, even though the show was one of the worst TV shows ever, the music was really well done. So There! ), among many many others. But in the summer of either 1985 or 1986, can’t remember which, I hit the MOTHERLODE. Really. I was living in Lancaster, Ohio, and the discount chain Hecks opened a new store out in the boonies end of town, right next door to Lancaster Cinema on Sheridan Drive. It was a 10 minute walk from our apartment, and they had everything. But mostly, they had the all time best cut out bin EVER!!! My mom and I walked down opening weekend, and the place was mobbed. And tucked away in the front left corner of the store was a small electronics and music section. And the centerpiece of this section was a gigantic bin of cutouts. And these weren’t just no-sale albums by unknown artists, either – although most of them were at least five to ten years old at the time, most of them were legitimate minor hit albums a few years earlier. And from opening day until they got rid of most of them, they were selling for just TEN CENTS EACH! And they were all still factory-sealed – no used copies or returns here. I had taken a vinyl overdose…I was on a cut-out HIGH!!! Here and there over the next two weeks, I plunked down about $20 and added nearly TWO HUNDRED albums (yes, you read that right) to my collection, including the entire collection of mostly critically-acclaimed Raspberries (“Go All The Way“) albums (including their debut album, the one with the scratch and sniff sticker that amazingly still worked, and which thirty years later still has a hint of the scent in the album cover), most of singer-songwriter Henry Gross‘ (“Shannon“) output from the mid 70s, most of Paul Davis‘ (“I Go Crazy“) earlier albums, and a TON of other gems. The Raspberries albums – those were manna from heaven to me; I already had all but one of Eric Carmen‘s later (and usually marvelous) solo albums (most of which had also been purchased in cutout bins over the years – what a sad statement THAT is…), as I was a huge fan of his songwriting and his wondrous voice (is there anyone out there who doesn’t get chills from the piano-only version of “Boats Against The Current” once they’ve heard it? I should think not…), and when I had gone back to try and find the band’s albums, they were out of print and used copies were selling for way too much money for the teenager I was at the the time. Two months after they opened, with the initial allotment of cutouts all but gone or down to a few, they restocked, this time with stuff that was more recent, and they raised the price up to 50 cents each, but I still plunked down a bit of my hard earned cash for more great cutouts from Deodato, Peter Frampton, and a ton of others. Within a 90 day span that summer, I added almost 300 albums to my collection, and did so for under a total of $100 bucks…probably less than $50, actually, all things considered. And the fact that at the time, I was working for the only record store in town – well, they got my money for the current stuff…the supposed irony was lost on me. Not that I didn’t spend money on cut outs at work…a year or so before I became an employee, they had a cutout sale and I spent about $50 on early, unsuccessful albums by Stacy Lattisaw, Roger Voudouris, and others at $3.99 a pop. But they were worth it. Tapes are another matter. I’ve never been fond of cassettes. Kim is – most of her music collection is on cassette – but nearly 90% of my sizable collection of full album cassettes (as opposed to cassette singles, a different monster entirely, another topic for another day) came from the cutout bins. Tapes were just too easy to mess up, and I preferred making my own mix tapes from my records and CD’s rather than buy prerecorded ones. But there are a few gems. And the most valuable tape in my collection to me personally was found by chance one day in Lancaster when Woolworth‘s was still around. Again, I was working at the aforementioned record store (more about life at Buzzard’s Nest Records soon), and had walked up from the shopping center where it was to the one next door to get my haircut on my lunch hour, and on the way back, I noticed that Woolworth’s had a display with cassette cut outs, so I stopped in. And I may have let out a shriek when I saw one tape in particular, of an album from two or three years earlier that I had tried to special order at my place of employment only to be told it was out of print. It was the debut album by singer Joseph Williams. If the name doesn’t ring a bell, you’re not a music buyer from the 1980s. The son of conductor John Williams, Joseph had finished in second or third place on the first season of Star Search, where he had been bested by singer Sam Harris. The solo album had been recorded right before that, and had bombed. At this point in time, he had recorded a song, “Save The Night“, for the soundtrack of the film “The Goonies“, and had just joined the Grammy-winning rock group Toto as their new lead singer. And I was a huge fan. I plunked my 99 cents on the Woolworth counter and headed right back to work with it. Let there be no mistake about it – it’s rather ordinary pop. But it’s GOOD pop, and I love the entire thing. And I would love to find a copy of the album on vinyl or CD because I haven’t yet digitized the tape and I worry about playing it sometimes because I’m afraid the cassette deck will eat it and it will be gone for good…I’m paranoid like that about cassettes, which is why I never got into them. I don’t mind buying cut-out cassettes because you’re not spending much on them, and I’ve actually found a few things I never found on vinyl during their initial release on cassette in the cassette cut-out bins – like Jack Green‘s excellent 1980 album “Humanesque“, the self-titled debut album by Will And The Kill, Jesse Jaymes‘ “Thirty Footer In Your Face” featuring the inimitable single “Shake It (Like A White Girl)” and countless others. But I really DO need to digitize my collections soon – and Kim’s – because unlike vinyl and CD, cassettes tend to go bad after a few years. And unlike hits, you usually can never find cut-out bin gems again, except at a very high price on the secondary market. Ye Gods…what WERE we (the 70s generation) ever thinking?